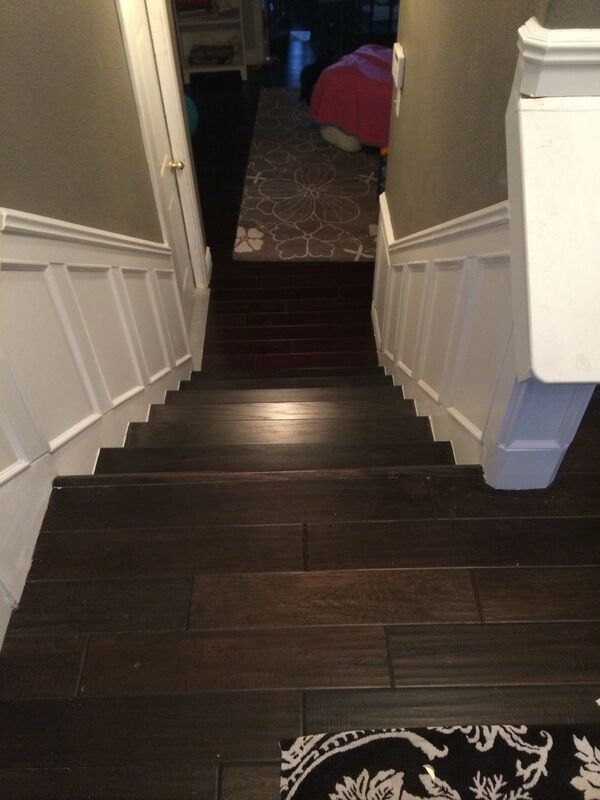 Steps 2 and 3: Replace the stair rail and change the carpeted stairs to wooden treads and risers. Step 4: Trim the windows. Step 5: Add board and batten! 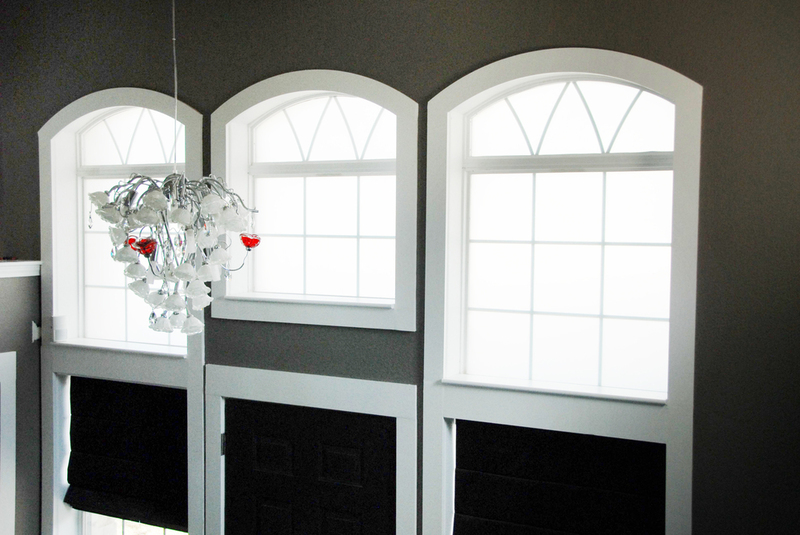 Step 6: Add trim to the upper windows. 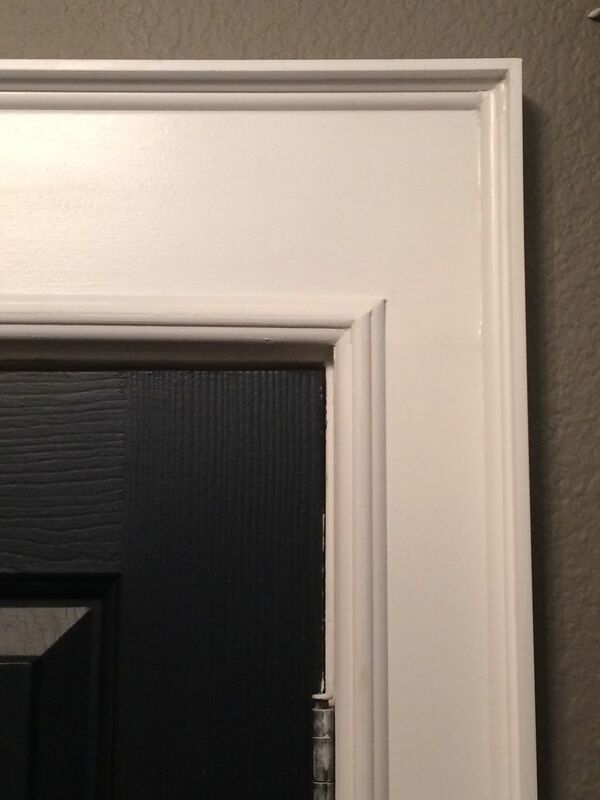 Step 7: After a summer in Europe and falling in love with picture frame moulding, change board and batten to picture frame moulding. 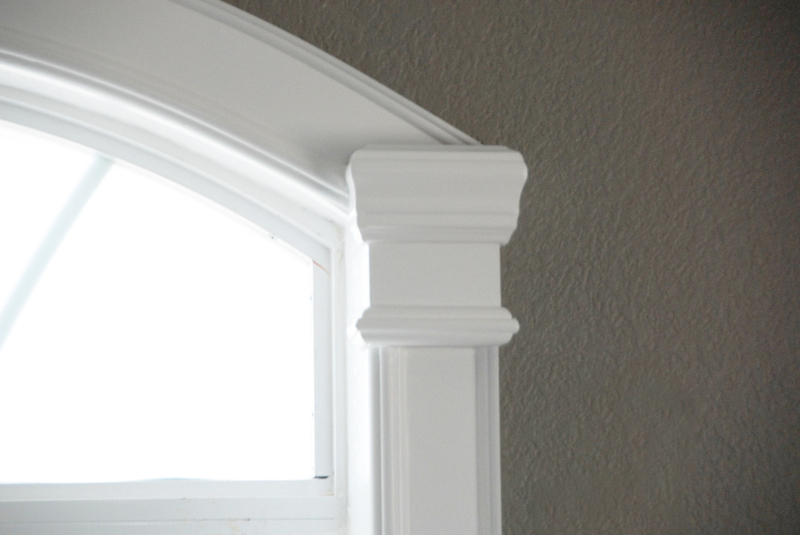 Step 8: Make the trim around the windows are nice as that along the stairs. 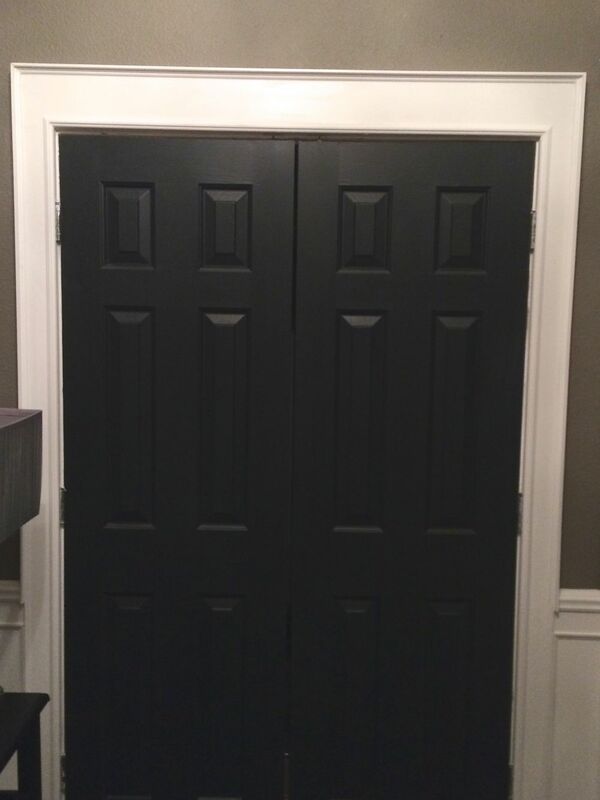 Step 9: Spruce up the trim around the doors. 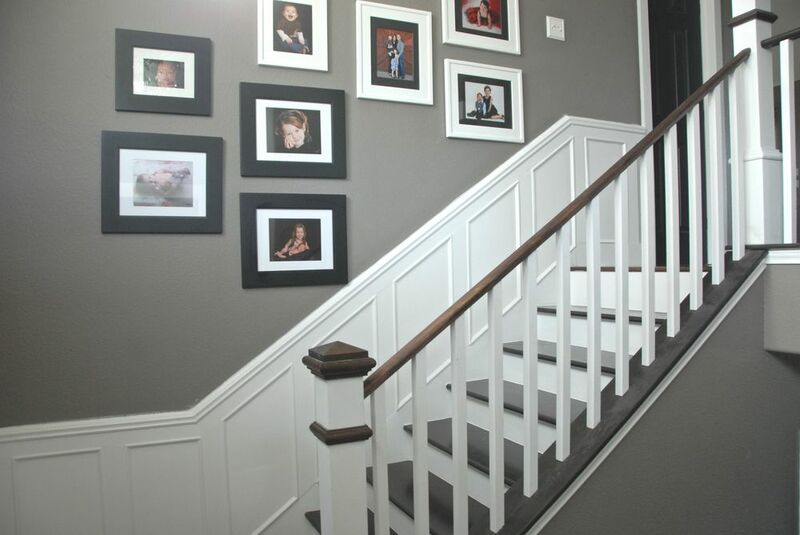 Step 10: Continue the wainscoting from the foyer to the lower stairs. Step 11: Refinish the stairs (again) after the bathroom remodel destroyed them. 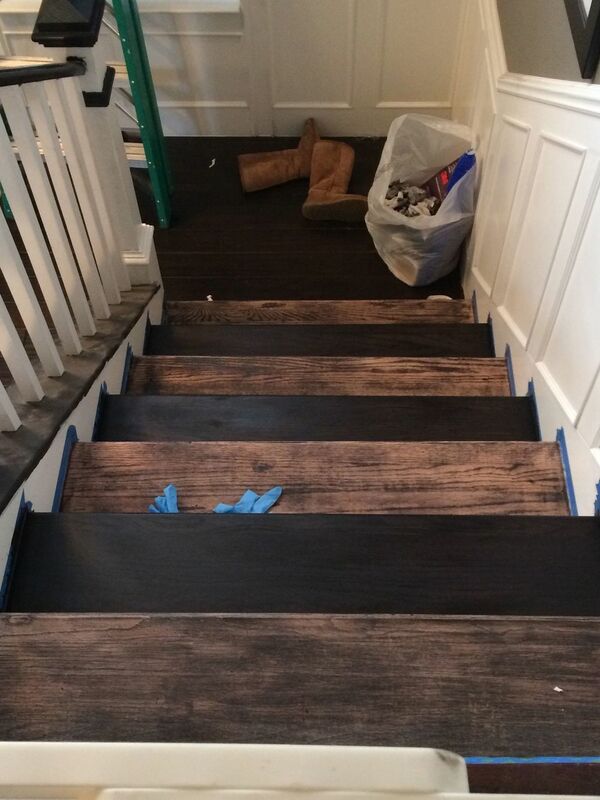 Step 12: Stain the stairs over a one week period (staining every other one and allowing to sit). That's it! 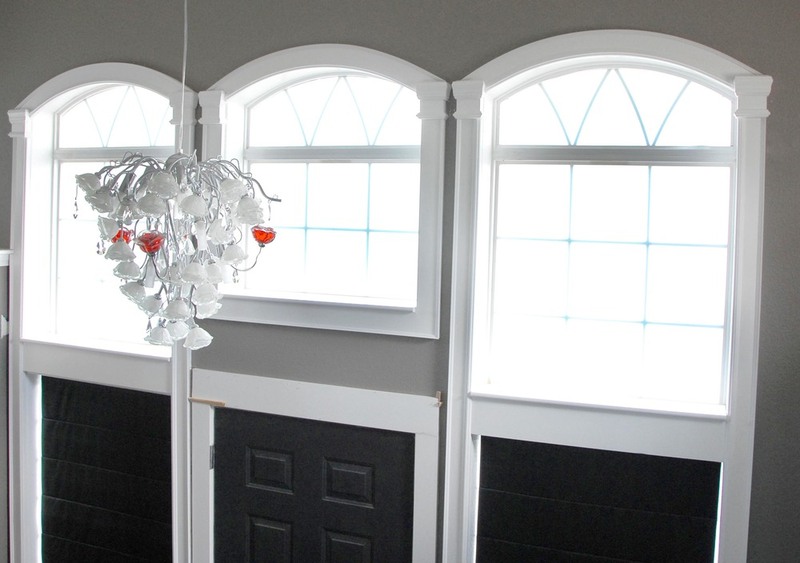 It was one of the longest, most labor intensive projects I've done in this home and boy am I glad it's over! I hope it gives all you hope, though, that with persistence it can and will be done!